S’Illot is a small seaside resort on the eastern coast of the island of Majorca. The northern part of the town is part of the municipality of Sant Llorenç des Cardassar in the County of Llevant, which is the smallest part, with only about 250 inhabitants. 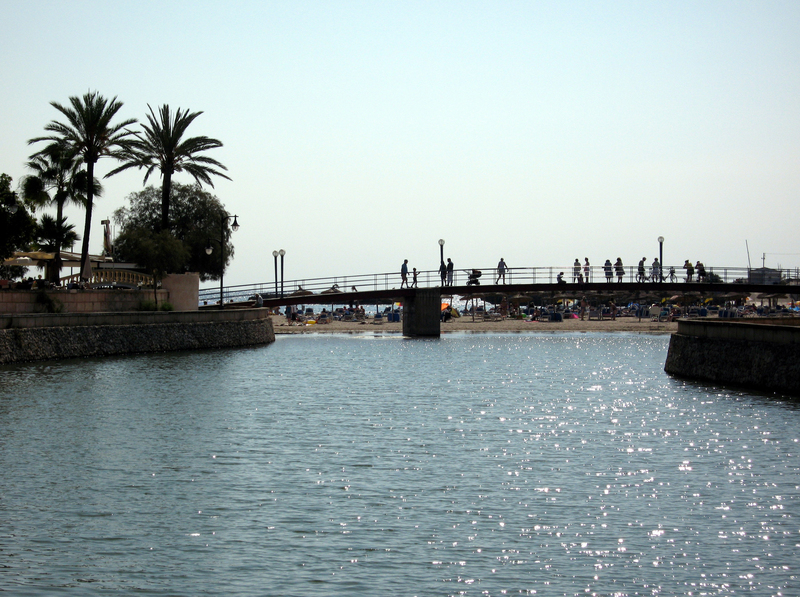 The southern part of S’Illot and Cala Morlanda is part of the municipality of Manacor and account - Cala Morlanda range - about 1600 inhabitants. Both parts of S’Illot are separated by Torrent Ca n’Amer which turns into a small lake to approach the coast. A large bridge crossing the "border" near the coast. 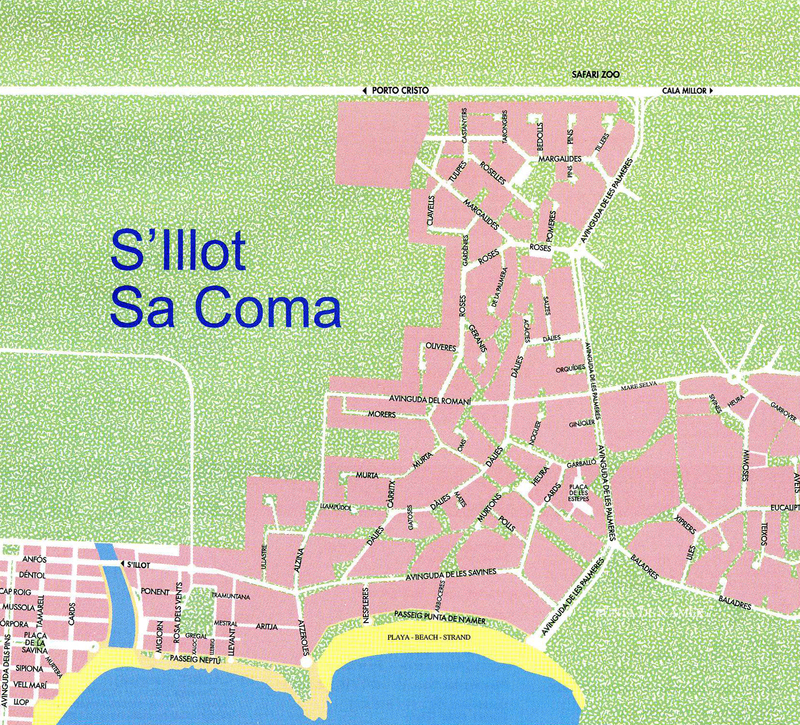 Unlike its neighbor Sa Coma, station S’Illot is not a modern resort designed for vacationing, but a traditional Majorcan fishing village that has not really started in the mid-1980s to adapt to meet the ever increasing demand for tourist accommodation on the island. 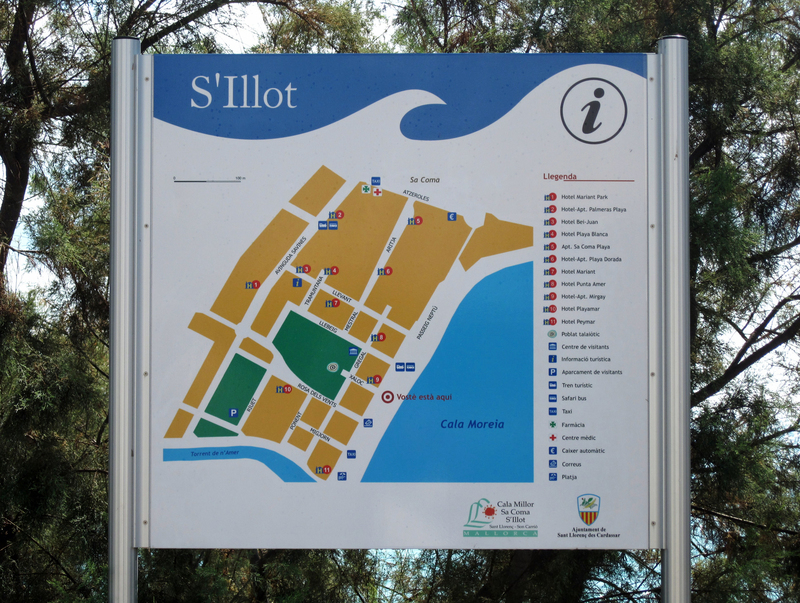 S’Illot (in Majorcan) or s’Illot (in Catalan) owes its name to a few islands, visible from the beach, which is located off the town. 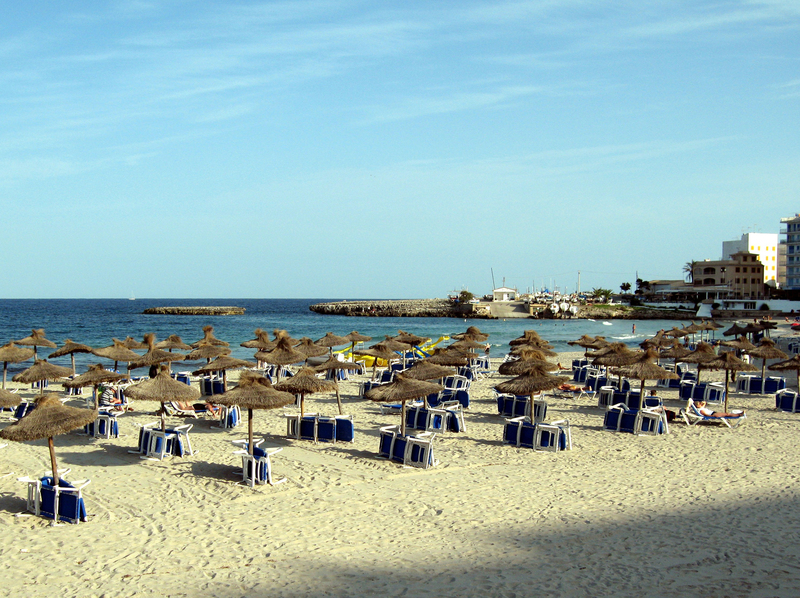 S’Illot is also known as Cala Moreia, Platja de s’Illot. 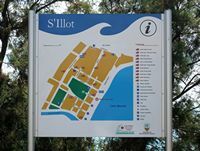 S’Illot is located 11 miles southeast of Sant Llorenç des Cardassar, 16 km east of Manacor (road Ma-4021) and 65 km north-east of Palma. From Palma and the Son Sant Joan International Airport, the main road in Mallorca, Ma-15, leads directly to Sant Llorenç des Cardassar, and from there the road Ma-Ma-4022 and 4021 led to east to S’Illot. The journey usually takes 1 ½ to 2 hours. The station is located near Porto Cristo (7 km southeast) and its famous Dragon Caves (Coves del Drac) and caves Harpoons (Coves dels Hams). The point Punta de n’Amer with its pleasant pine and tower defense is only 2 km. S’Illot has a range of good size. There is a bus stop 50 meters from the beach. 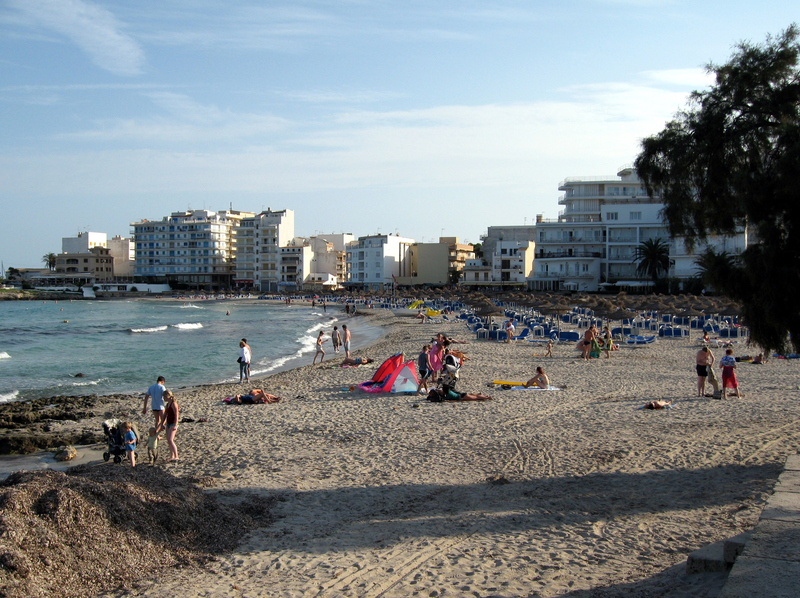 Near the small pier, boats stranded fishermen and boaters, recall that Cala Moreia is not sheltered from storms and is not suitable for anchoring boats. The beach - most popular - of Sa Coma is about ten minutes walk from the Promenade. S’Illot houses the ruins of a talayotic village located on the outskirts of the city, about 200 meters from the shore. 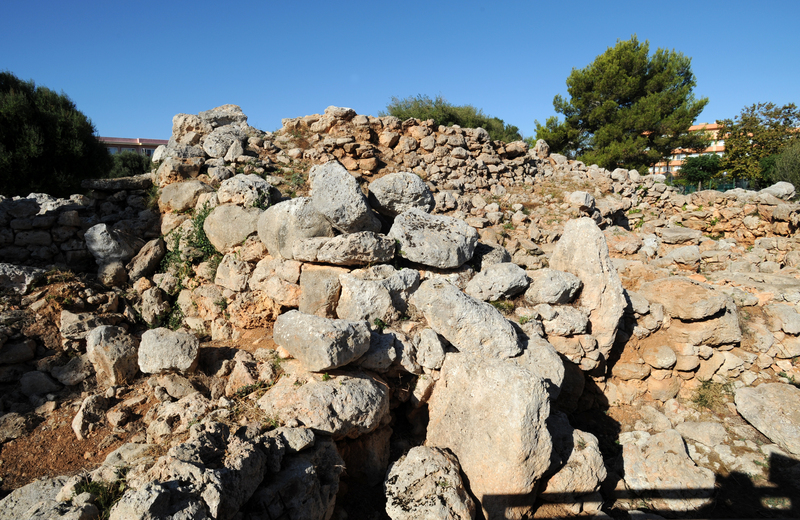 This is one of the most important talayotic culture and post-talayotic (850-123 BC) of the archaeological sites of the island of Majorca, both for its diversity and its monumental long and complex historical evolution, reflecting occupancy of more than 1000 years. The oldest remains date back to the late Bronze Age (1100-850 to BC) on these old buildings were built buildings which we see the ruins today. 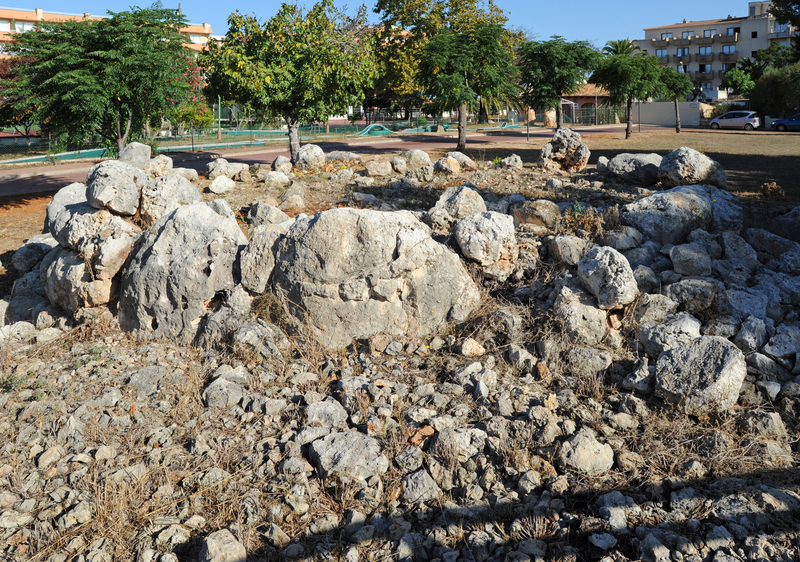 This intense occupation of the site would have started around 850 BC and was completed in the late second century BC, when the Romans colonized the island of Majorca, in 123 BC. 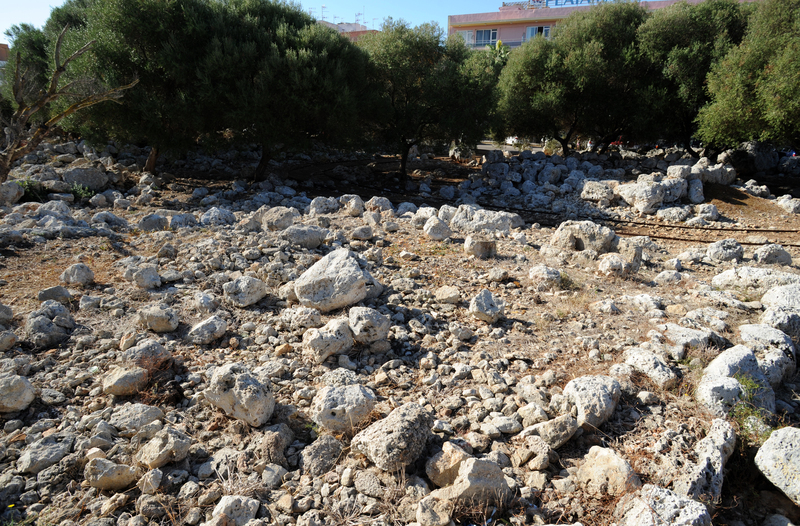 Under certain assumptions, the Romans would also landed in Cala Millor or Sa Coma, near S’Illot. The Talayotic constructions have however continued to be used until the Muslim conquest in the seventh century. 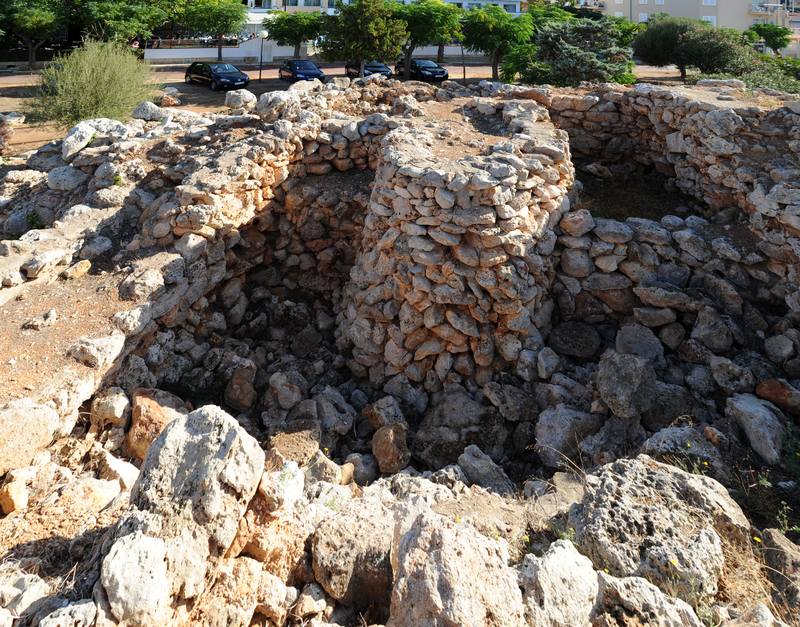 Between 1960 and 1970, the village talayotic S’Illot was excavated by archaeologists from the University of Marburg. The site was declared a National Interest in 1964. The village consisted of different sets where community buildings (talayots) around which there were dwelling houses were built. The central part was a quadrangular talaiot surrounded by 35 houses. 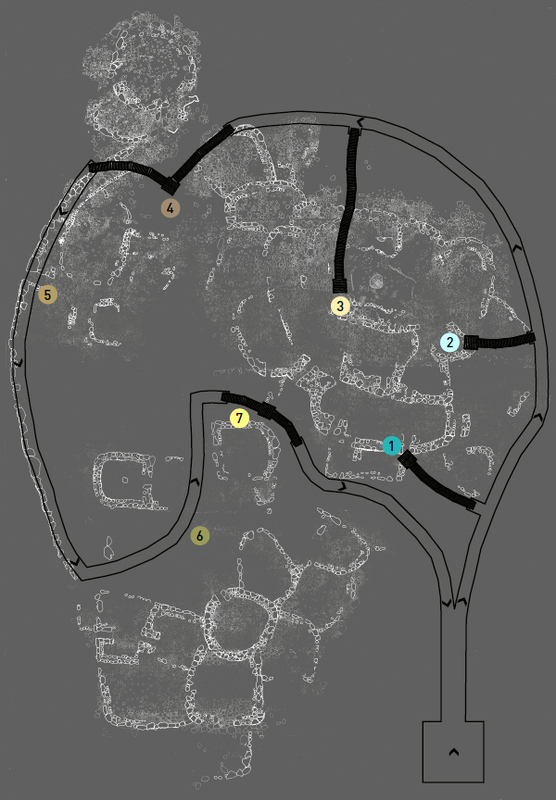 The village was protected by a long wall that originally completely surrounded the village, which is still visible. All these buildings were made of dry stones of various sizes, from very small to very large. The two hundred villagers had mainly farming, but hunting and breeding of domestic animals such as pigs and sheep, were also very important for the survival of the community. The visitor center talayotic village S’Illot complete the site visit. 1. Housing building in bean-shaped backed central talaiot (550-123 BC). Life in the villages Talayotic was organized around two axes, a community or social and other domestic type. Large Cyclopean buildings hosted community activities or social type, while townhouses housed domestic activities and family. Although the dimensions of the houses were variable, there could live 5 to 9 persons. Their interiors can see rest areas and food preparation areas around a home. Predominated in the daily diet of meat, mainly sheep, goat, pork or beef, supplemented by cereals, tubers and fruits. 2. Bean-shaped housing (550-470 BC). Talayotic This house is one of the few houses in the village of s’Illot excavated archaeological way. This house, with a side entrance, is divided into three areas: a small space to the right of the entrance, a second much larger space in the center of which was a home where there was the kitchen at the back of the house, he there is a third area where was found a second home. 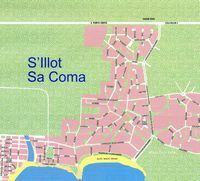 This is the oldest part of the village S’Illot; talaiot it was built on the remains of structures dating from the Late Bronze Age (1100-900 BC). It is a massive building which was community activities, with a strong symbolism. From this high point, you can see the full scope and structure of the village. Around the tower were backed a number of houses. The nearest houses may date from between 850 and 550 BC, while the most distant have been built from 550 BC. From here you can see three sets of talayotic village S’Illot. The first, on the left, is a talaiot with a dwelling. The talayots are buildings shaped circular or square towers. They may have had many different uses depending on their location in the village within the village, in high places with a view to observe the surroundings, or ceremonial complex. However, their function was always linked to community activities, such as control of territory, ceremonies or sharing food. Right on the edge of town, you can see parts of the wall that surrounded probably the whole village. It is built with large limestone blocks weighing sometimes over a ton. This wall was both a defensive function and a symbolic function of the strength of the community can build. The entrance to the village was through a hallway with a roof slab of stone. 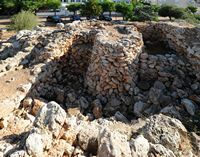 On the outskirts of the village, one can see an architectural ensemble formed by another talaiot, a circular plan, which was backed by a number of houses. In this talaiot were scheduled community activities such as the distribution of food and different types of ceremonies, while the houses were families living in the village. In the foreground are two constructions apsidal plane. In one of them was maintained based on a central column. Because of their shape, these structures are considered sanctuaries or important buildings within the community. These shrines were probably built after 600 BC.